It would seem that for x>1 this must blow up. But, amazingly, this is not so. In fact, the function has finite values for positive x up to . We call this function the power tower function. as each subsequent x is adjoined to the bottom of the tower. Clearly, this function is well defined for all positive y. If we can invert it, we can get y as a function of x.
where . This is in a form suited for iterative solution. 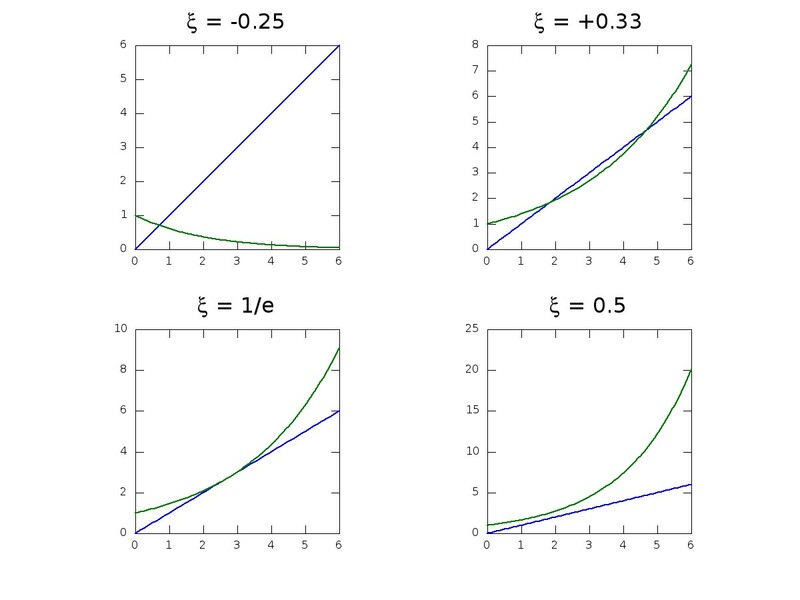 In the figure below, we sketch the graph of for a selection of values of . For there is a single root. For , there are two roots. For there is one double root. Finally, for there are no roots. We plot the function in the figure below. It is defined for all positive . Its derivative vanishes at where it takes its maximum value . The function is monotone increasing on the interval and has an inverse function on this interval. 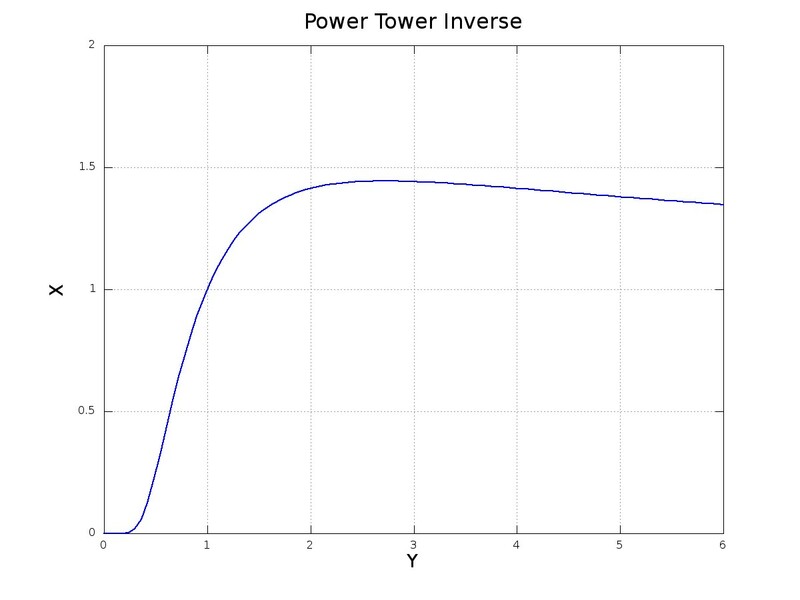 This inverse is the power tower function, plotted in the figure below. The power tower function is well defined on the domain . This is surprising, as a cursory glance would suggest divergence for . 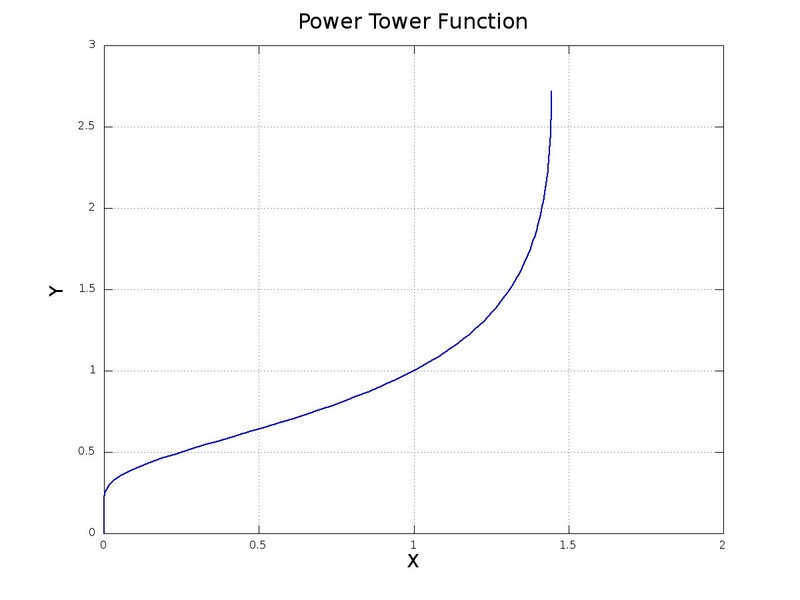 It would be interesting to investigate the behaviour of the power tower function for complex values of the argument. A follow-up post, relating the power tower function to the Lambert W-function. A brief note with more technical details is here ( PDF ).